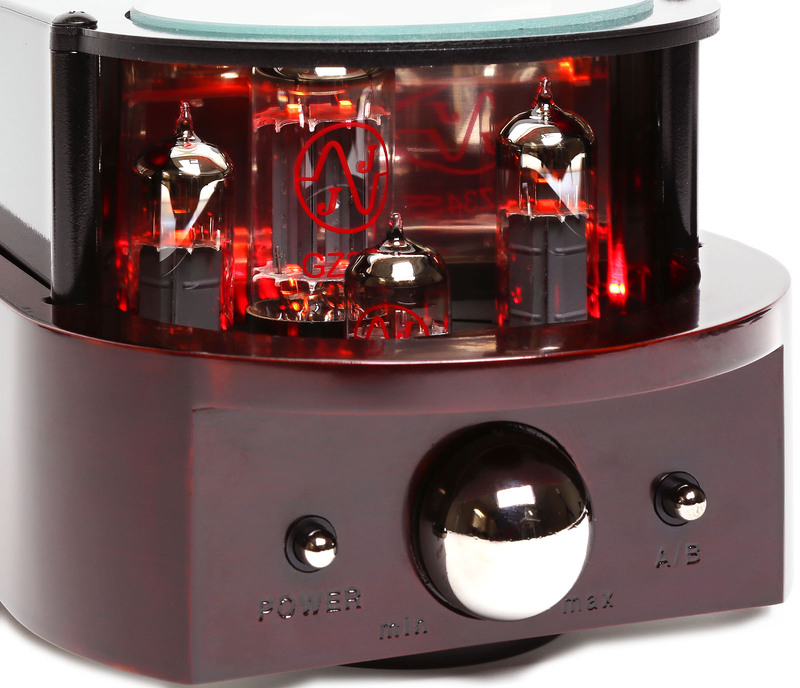 The all new TubeDepot Eclipse is a robust and beautiful single ended EL84 amplifier. Capable of pushing moderately efficient speakers to desktop SPL levels, the Eclipse sounds accurate while preserving the comfortably sweet sound of tube audio. 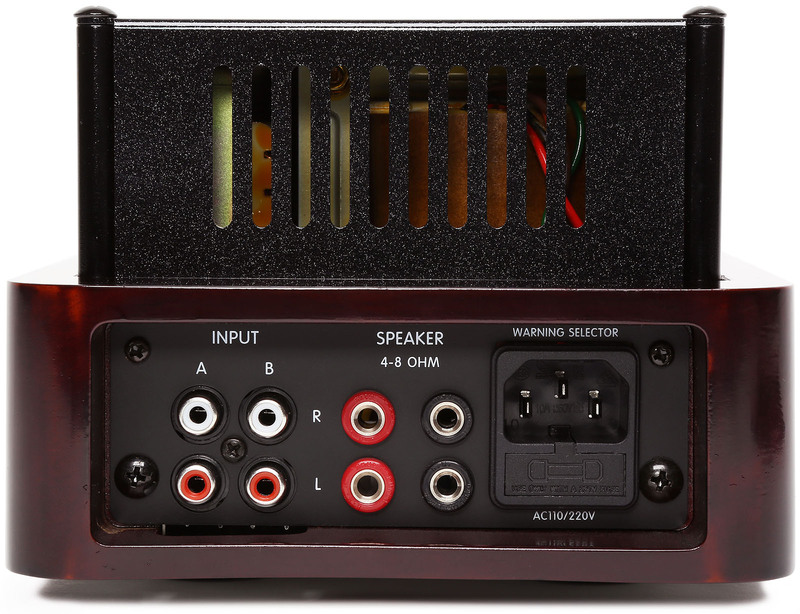 To match the quality of the amplifier, the chassis is married to a CNC machined, polished, and lacquered maple cabinet. The look of fine wood coupled to the the metallic finished, black chassis lends itself to both a classic and modern look in one piece. In order to remove hum and noise, the Eclipse utilizes a bridge detector circuit. The bridge circuit works as a pair of two-component voltage dividers connected across the same source voltage, with a null-detector connected between them to indicate a condition of “balance” at zero volts. To further reduce hum, noise, and voltage fluctuations, a regulator circuit is employed to reduce the noise floor to less than 5mv. A GZ34 / 5AR4 is used as the rectifier in the Eclipse’s power supply circuit. A tube rectifier delivers a sense of air and breath that solid state rectification just can’t convey. No need for a preamp with the Eclipse. Having two inputs and a smooth volume knob, your music and the Eclipse is all you need for a tube audio experience that will Eclipse any other you have had. I love this amplifier! My 2 input sources are an iPod and a Sony CD player. Both work well. My speakers are a pair of Klipsch bookshelf models. After a 5 hour burn in I swapped out the JJ pre-amp and power tubes for a set of Golden Lions with a similar burn in time. I like the sound of the Golden Lions much better. To my less than perfect hearing, the high frequencies with the JJ tubes are a little edgy. This amplifier makes a great conversation piece as well. Some of my younger co-workers have never seen a tube before. I grew up taking apart tube tv and radios for fun, so I am familiar with their application. Congratulations on making this fine product.